ACL surgery stories are a great way to share your experiences, and to get reassurance and motivation for the recovery process. ACL surgery is a big deal. It is completely normal to feel scared, worried, anxious, and even be a little freaked out. I always ask my patients before surgery if they are nervous. I haven't had one tell me that they weren't. I was talking to one recently and he said that he was "kinda freaked out" when he found out he was going to have his reconstruction. What did he do to ease some of those feelings? He searched the web to find stories of other peoples surgeries. He wanted to know what to expect, and what other people had gone through. Maybe you have done the same thing? Sharing your story can be a great way to relieve some of the stress you are feeling about your upcoming or just done ACL surgery. It provides an outlet for you to express some of those feelings you have. 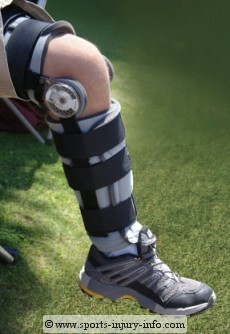 It will also help others to learn more about what they should expect for their surgery and rehab. Please, share your ACL surgery experiences with Sports Injury Info. Tell a little bit about how you injured your knee, when your surgery is, or was, and what things have been like since your surgery. Was it what you expected? Have things been going well? Any tips you want to share? I want to hear all about it. Due to significant abuse by spammers, the new submission and commenting options for these pages have been disabled. Unfortunately, this means that all previously existing comments have also been removed, as this is the only way to disable new comments on the site at this time. I realize that these pages have provided support to those of you who have similar sports injuries, but this abuse has resulted in many visitor and external website complaints. Surgery or Wait and See ? Ruptured ACL, no 'popping sound'. age 17. soccer injury. Jason ACL & Meniscus tear IRELAND! MY JOURNEY THROUGH THIS HARDSHIP. My ACL surgery- and beyond! 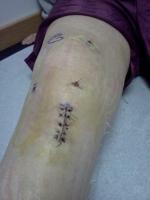 Allan's ACL reconstruction & meniscus repair. Anna Marie's ACL Tear. I will be Better! 13 year old girl soccer player tore acl! Brendan's ACL tear/surgery/recovery. Football and Track. Could an MRI be wrong in reading an ACL tear??? Need advice on ACL surgery..
6 month post ACL-Where should I be? 49 Jazz & Tap Dancer with torn ACL...now what? Karen is waiting for her 2nd surgery in 27yrs! Krystal's ACL Reconstruction Sept 9th!!!! AHHHH!